Looking for a fun game to keep the kids busy at the local farmers market? Then try this farmers market scavenger hunt idea. One of our family’s favorite weekend activities is going to the local farmers market. There are always so many delicious vegetables, fruit and treats to choose from. 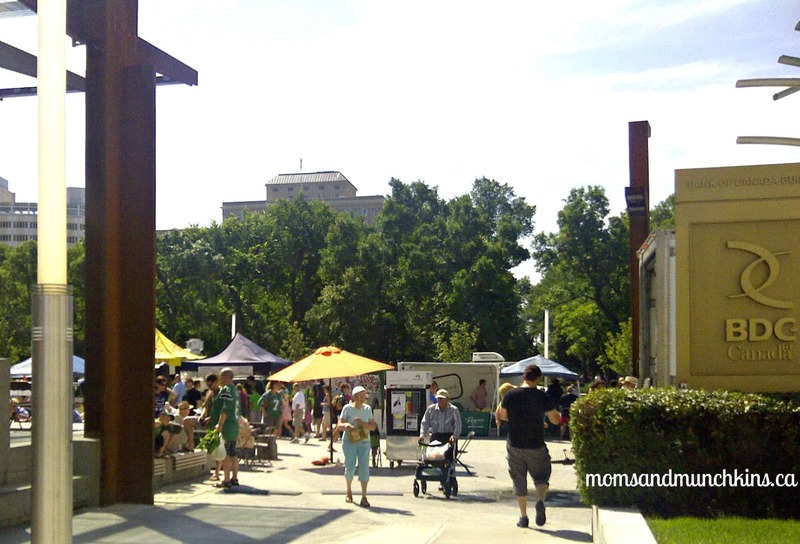 A fun family or playgroup activity would be to meet at a local farmers market, browse around at everything on sale, have a fun farmers market scavenger hunt game (free printable below) for the kids and then enjoy a brunch or lunch in the park. Do you have a farmers market in your city? Do you visit it often? If so, what is your favorite food to buy? Looking for more fun & free games? Check out our Printable Games page. We add new family fun ideas every week. Never miss an update by following along on Facebook, Twitter, Pinterest and Bloglovin’. This is great! I wish there was a big farmers’ market closer to us, though! Visting from SITS. You have so many good ideas and a cute website. I’ve always taken my daughter to the farmer’s markets, it’s a great experience for her. This is such a fun idea! Totally something my girls and I would enjoy doing, plus it would help keep them occupied while I shopped. Thanks for stopping by! The homemade cookies are always my favorite part of the Farmer’s Market.